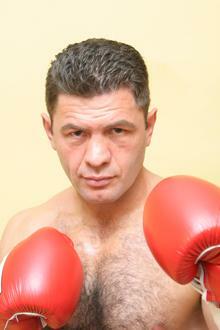 Luan Krasniqi: Krasniq returns to the ring! Krasniq returns to the ring! [fightnews.com]Heavyweight contenders Luan Krasniqi and Alexander Dimitrenko will collide for the vacant European heavyweight championship and the WBO Intercontinental title on March 8th. Both fighters fight under the Universum banner and the card will headline a "Universum Champions Night" event at the Porsche Arena in Stuttgart, Germany. The 36-year-old Krasniqi (30-3-1, 14 KOs) is returning from a disappointing loss to Tony Thompson in July in a WBO eliminator, while the ten-years younger 6'7 Dimitrenko (27-0, 17 KOs) is coming off a twelfth round KO of Timo Hoffmann in November and is rated at #2 by the WBO. Tickets are available now at +0711-2555 555 or +040-696 559 59. Dimitrenko is a top-notch opponent (top 10 in all rankings) who is unbeaten in 27 fights. He last fought on November 17 2007 when he stopped the experienced Timo Hoffman in the 12th round to retain his WBO Intercontinental heavyweight crown. Krasniqi: "I want to show that I am still a boxer to be reckoned with!" I am anxious to see this fight. Because Luans last fight was a flop, I've never seen him in such a situation, it was really bad. So I am looking forward to see this fight between Krasniqi and Dimitrenko, i could swear it's going to be exciting.